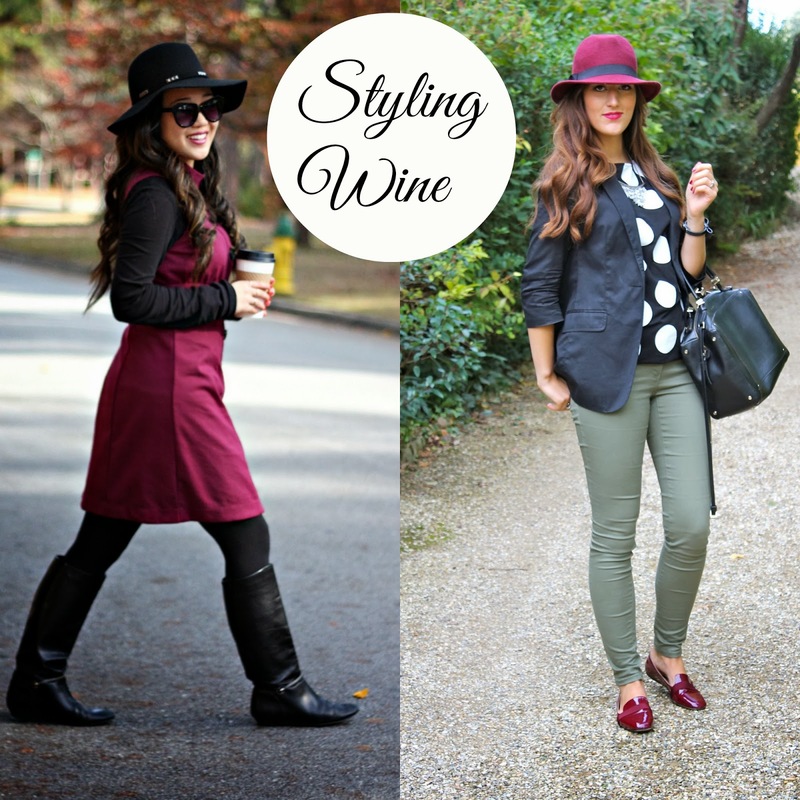 Today I'm teaming up with Brenna from Chic Street Style to show you how we style the color bordeaux wine. For starters, I am absolutely in love with Brenna's style. Her personal style consists of a Parisian-chic-meets-trendy look that basically has me hooked (think Blair Waldorf in Paris -- Gossip Girl Season 4). When this glamorous lady asked to collaborate, who by the way... has already traveled to Paris, Italy, London, etc. I was more than thrilled! I've had this wine-colored dress in my closet for years now and I pull it out this time of year to embrace the cold, winter months ahead with a pair of black boots. This wool felt hat is probably one of the best purchases I've made this season. Brenna opted for a classic blazer with a pair of patent loafers and a bordeaux wine-colored hat to complete the style trend. I absolutely love that lip color she's sporting and her darling bow bracelet, which you can see if you head on over to her blog here to see more photos of her outfit! How do you style this hue for Fall?